Here is a map displays territory of Russia. actual map of Bilyarsk calibrated for you. free map of Yerykla calibrated presented. free map of Tatarskoye Akhmet'yevo for you. topographic map of Staryye Chelny displayed. free map of Staroye Yamkino calibrated free download. 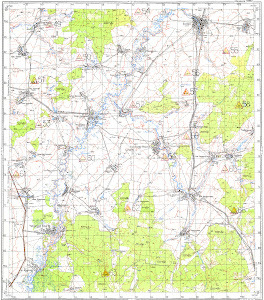 free map of Staroye Kamkino this. actual map of Staroye Alparovo here. free map of Staroye Al'met'yevo calibrated for you. detailed map of Staraya Tatarskaya Amzya 1 cm to 1 km for you. free map of Sredneye Al'keyevo presented. free map of Shama и OziExplorer calibration here. interesting map of Novyye Urgagary и OziExplorer calibration for gps. actual map of Novyye Chelny with gps calibration for gps. map of Novoye Al'met'yevo и OziExplorer calibration presented. map of Novaya Amzya и OziExplorer calibration for you. detailed map of Nizhneye Al'keyevo и OziExplorer calibration for Garmin. map of Marasa for gps.